Changing WordPress username is imperative to your WordPress site security. A strong username can help your site to give a tough hand for the hackers. 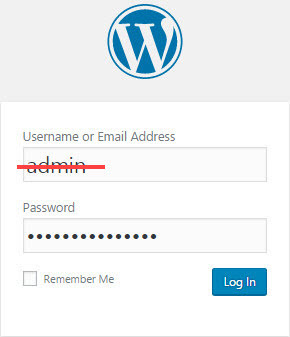 During WordPress 1-click installation you can change the username which is by default “admin”. Using “admin’ as your username is very very risky. It will compromise your security. 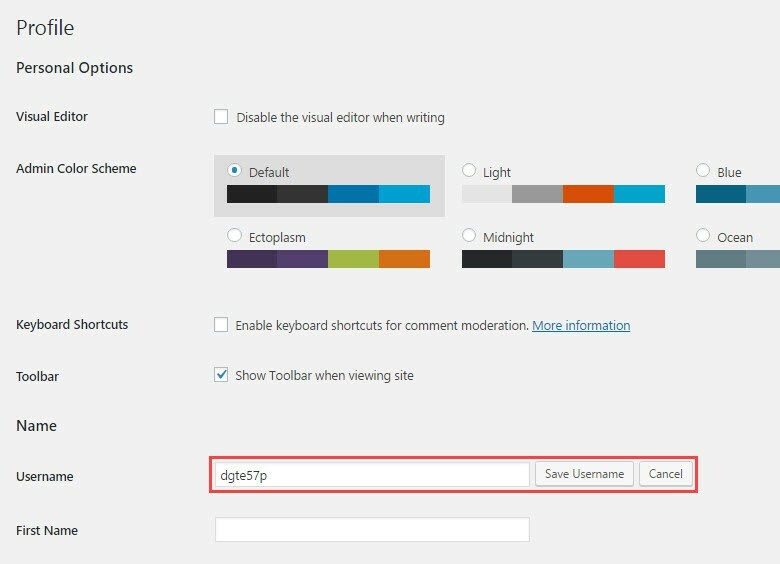 If you did not change the username while installing the WordPress then here are the 3 ways to change it. 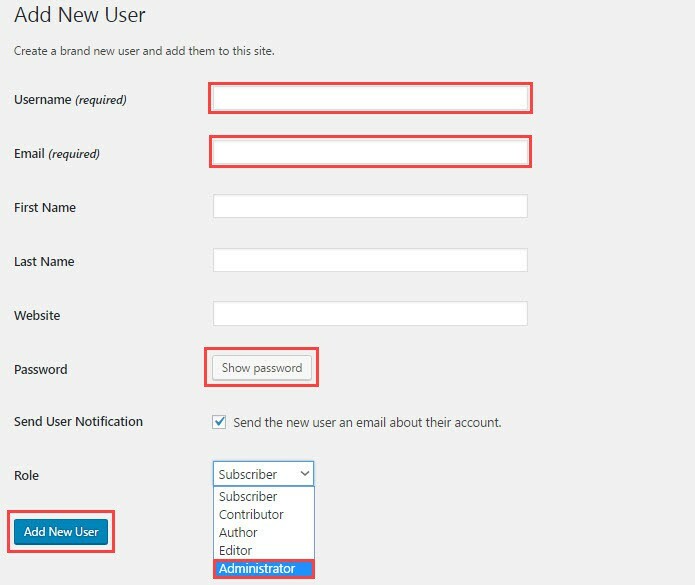 Why you Need these Ways to Change the WordPress Username? Because you can’t modify the username without above-mentioned ways. If you go to Users>>Your Profile then you can see WordPress did not allow you to change it. So let’s discuss each step one by one with their advantages and disadvantages. Write down your new username. Never use the common words as username like admin or user etc. Then type a new email address that owned by you. If you don’t have the other email id, then create a new one. Show password and save it because it’s your new password. However, you can also make your own password but make it strong and complex. Then sign in using a new username and password. Again navigate to Users>>Add new and delete the old username. That’s it. Username changed. The difficulty in it that it’s a bit time consuming like creating a new email address then adding a new user and then logout and again login. The advantage is that you can do all the things just remaining at your WordPress dashboard. There are many plugins available one of these is username changer. Install this plugin and activate it. Now head to this destination Users>>Your Profile. You can see that after activating the plugin, you can see “Change Username” there. Click on it and now you can see WordPress allow you to write the new username. The Good thing about this way of doing the changes that you can alter the username quickly. But sometimesthe new bloggers purchase low-quality hosting due to budget restrictions. So installing plugins even for smaller things can make your site unresponsive. That’s why it is advisable don’t install too much plugins on such type of hosting plans. This process is totally related to your hosting control panel. Login to your Hosting account which is mostly cPanel. It doesn’t matter if a company has its own made control panel or industry standard cPanel the process almost same for all. Find and click on “phpMyAdmin” it is under the “Databases” section. Now find “wp-users” click on it. In the new page change “user_login” to change the username. You can also change the display and nickname here. After making changes click on “Go” button to save the settings. That’s all close the cPanel tab. Now login to your WordPress dashboard by using new username. The nice thing that you don’t need to install any third party plugin or creating a new email account. The things are done in just a single control panel. The Bad is that newbies feel confusion while doing this because it’s related databases so any mistake can get your site into trouble. All are the secure ways to change the WordPress username. Pick anyone you like. We prefer to change it via cPanel as it requires no extra work. While on the other two ways you need a new email id or the plugin. But all the above method are effective. So, don’t hesitate while making changes. Stay tuned to grab more blogging guides.